Marcus A. Hampton is a native of Indianapolis, Indiana, a city known for producing prolific jazz musicians. The sibling generation of Hampton’s father, who was also named Marcus, were all very prolific musicians. His uncle “Duke” Hampton, who was named after his father Clark. His uncle “Lucky” Hampton, whose given name was Russell, played the tenor sax. His father Marcus Hampton, also played the trumpet. His uncle Maceo Hampton, a well known trumpet player in his day. His uncle Locksley “Slide” Hampton, is an NEA Jazz Master, a noted trombone player and composer. His aunts, the sisters Virtue Hampton, Aletra Hampton, and Carmalita Hampton performed with the band, but also formed a trio. The Hampton family played together and travelled as a working band. And, when the men were drafted into the service during World War II, the sisters continued performing and began singing together. Hampton served a full 21-year career as an active duty military musician, serving in band organizations in Europe and the United States. 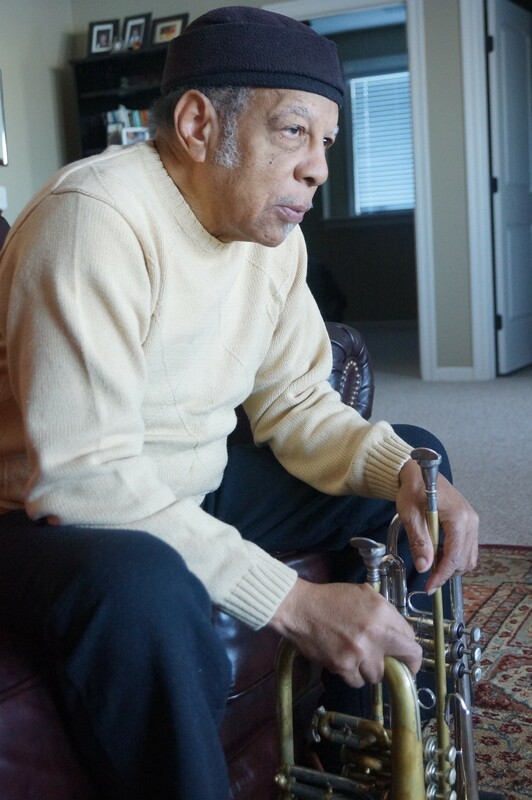 Hampton served as a staff arranger and jazz soloist throughout his career, culminating as a Special Bandsman assigned with The United States Continental Army Band (TUSCAB) at the US Training and Doctrine Command (TRADOC) on historic Fort Monroe, Virginia. Hampton founded a jazz series that resulted in his family opening a jazz club, “Hampton House of Jazz” – see article. After the jazz club was closed, Hampton continued performing concerts, shows and doing freelance work at places like Disney world. His debut recording is titled “Hampton House of Jazz” and was released on the Artists Recording Collective (ARC) label.